Xbox One controllers use something called firmware, which is a special kind of software that's designed to run on hardware devices. Microsoft makes changes to this firmware every so often, which is why your Xbox One controller sometimes needs to be updated. You can update Xbox One controller firmware with an Xbox One or a Windows 10 PC, and you can do it through a wireless connection or with a micro USB cable. The process doesn't take very long, and it can take care of a lot of annoying problems like dropped connections. Not sure if your computer has Windows 10 or an earlier version? Here's how to check what version of Windows you have. 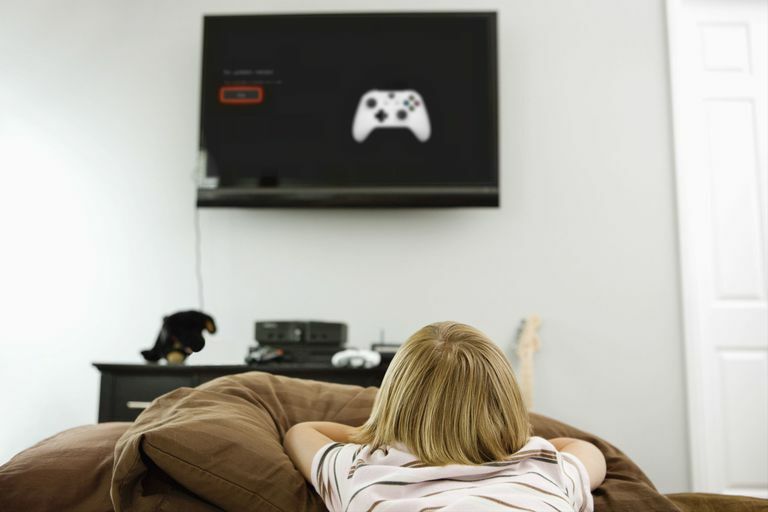 Xbox One controllers are designed to connect to the Xbox One console through a wireless connection, and most of them are capable of receiving updates wirelessly as well. Some older Xbox One controllers can only be updated over a wired USB connection. If you aren't sure which type of controller you have, check the part of the controller that points toward you when you're holding it. If you see a small circular jack that's designed for use with a headset or headphones, you can update your controller wirelessly. If you don't see this jack, then you have an older controller that needs to be updated through a wired USB connection. Turn on your Xbox One, and sign in to Xbox Live. If you have a stereo headset adapter for your Xbox one controller, plug it in at this time so that it will also receive any available updates. You also need to have a headset plugged into the adapter for it to turn on and receive updates. Navigate to Kinect & devices > Devices & accessories. Select ... (three dots) to access more options. Select the box that says Firmware version, followed by a version number. If this box says no update available, your controller is up to date already. Make sure you have fully charged batteries in your controller. If your batteries are low, either replace them or connect the controller via USB before proceeding. Wait for the update process to finish. Your controller is now done updating. In some cases, you may find that your Xbox One controller fails to update via the normal wireless connection. When this happens, you can perform the update by connecting your controller to your Xbox One with a micro USB cable. This process is exactly the same as updating your controller over a wireless connection, but it's designed to initiate automatically when you connect a controller that's in need of an update with a USB cable. If the process doesn't initiate automatically, you can proceed with a manual update, which works the same as the wireless updating process that was outlined in the previous section. Turn your Xbox One on, and sign in to Xbox Live. If you have a stereo headset adapter, plug it into the controller. Connect your controller to your Xbox One with a micro USB cable. If the update starts automatically, follow the on-screen prompts to complete the process. If it doesn't start automatically, you will need to get it started manually using the same basic process that's used to update a wireless controller. Select the Firmware version box. Do not unplug the USB cable during this process. Your controller is done updating. The Xbox One controller is designed to work with Windows 10, which means you can connect your controller to any Windows 10 computer with a USB cable, Bluetooth, or the Xbox Wireless Adapter for Windows. Due to the Xbox One controller being designed for use with Windows 10 in addition to the Xbox One, these controllers can also be updated using any Windows 10 computer. You can only update your Xbox One controller using your computer if you have Windows 10. Download and install the Xbox Accessories app from Microsoft. Connect your Xbox One controller to your computer using a USB cable. If you have the Xbox Wireless Adapter for Windows, you can connect using that. However, using a USB cable is less prone to failure and other issues. If your controller requires a mandatory update, you will see a message to that effect as soon as you connect it. If you don't see an automatic message, click ... (three dots) to access more options. Click the box that says Firmware version followed by a number. If this box says No update available, your controller is already up to date. Do not disconnect the USB cable during this process. Your controller is now updated. Before you can update your Xbox One controller, you Xbox One console may need to be updated. Most Xbox One consoles are set to update automatically, but if yours isn't, or an issue like an internet or power outage interrupted an update, you'll have to do it manually. Turn on your Xbox One, and make sure it's connected to the internet. Navigate to System > Updates & downloads. If you see No update available, then your console is already up to date. Wait for your console to finish updating. Once your console has finished updating, you can try updating your controller again.